STC's archives department is an amazing source of reference material for students and teachers and anyone interested in delving deeper into STC's history and past productions. It offers access to archival recordings, design images, prompt books, promotional materials, administrative materials and more. 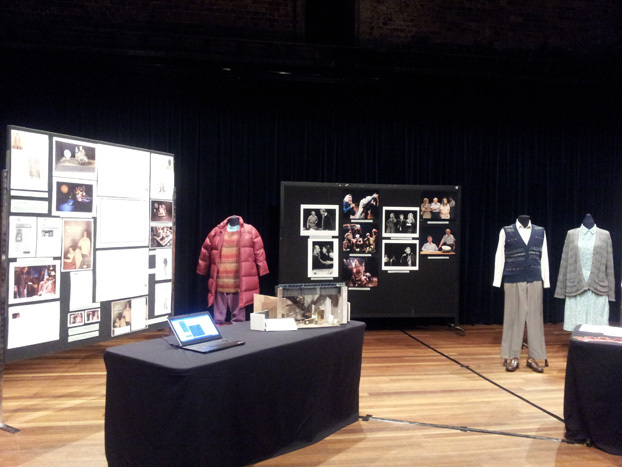 In a fruitful collaboration between many departments of Sydney Theatre Company, STC Ed recently mounted a display of archival records documenting several past STC productions of plays included in the NSW HSC Drama curriculum. 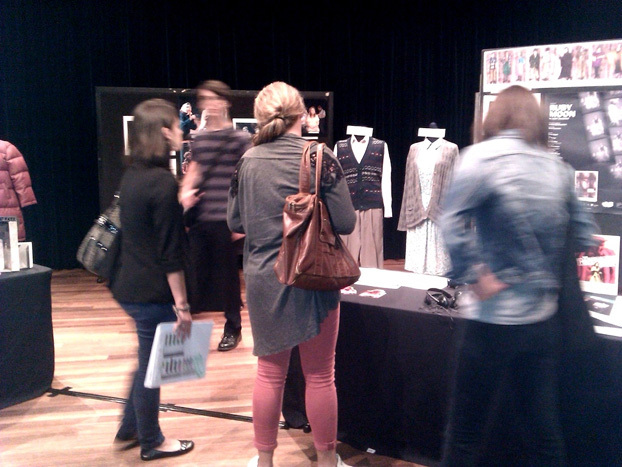 The exhibition was presented in the Richard Wherrett Studio of Sydney Theatre, from 6-10 February, 2012. It co-incided with HSC Drama's showcase OnStage Week, which attracts drama students from all over NSW to performances and exhibits pieces by the previous year's high-achieving HSC Drama students. The aim of this exhibition was to give HSC students (and regional schools in Sydney for OnStage Week) who attended STC's Pygmalionand Never Did Me Any Harma value-added experience. They were given the chance to explore the primary source research material - preserved in STC Archives after no longer being used to produce a play - that directly relates to their upcoming studies for their HSC year. The STC productions selected for investigation were Ruby Moon(2007, 2011), The Beauty Queen of Leenane(1999, 2010), Stolen(2005 and workshop 2011), and The Threepenny Opera(1994, 2011). Some images from Mother Courage and Her Children(2006), and The Removalists(2010), were also included. The records were created in the course of the production of the plays and were deposited in STC Archives because of their significance in documenting the work of the company. Included were actual costumes worn on stage, costume, set and lighting designs, production photographs, excerpts from blocking scripts, stage managers' performance reports, reviews, articles, directors' notes, excerpts from oral history interviews, a set model and promotion material. Archival recordings of the plays were shown and comparisons could be made of different directorial and design choices for the same play. Over 1,200 students and teachers visited the exhibition during the week, with schools travelling from as close as Sydney metro, Western Sydney, Northern Sydney and the South Coast to as far as Armidale, Lismore, Dubbo, Wagga Wagga, and even Singapore. 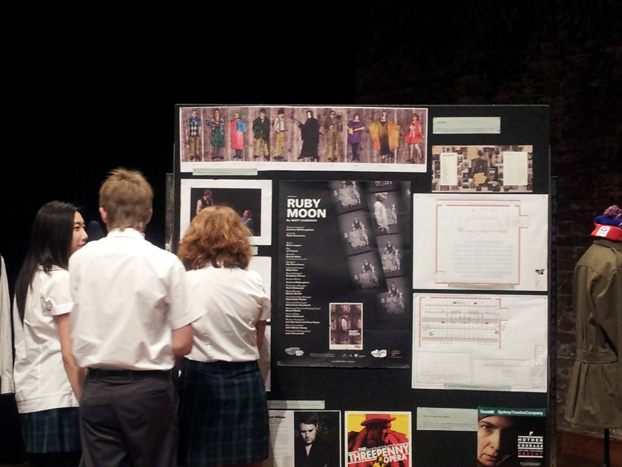 Students and teachers alike were enthusiastic about this opportunity to explore all the behind-the-scenes materials of the plays they are currently studying. 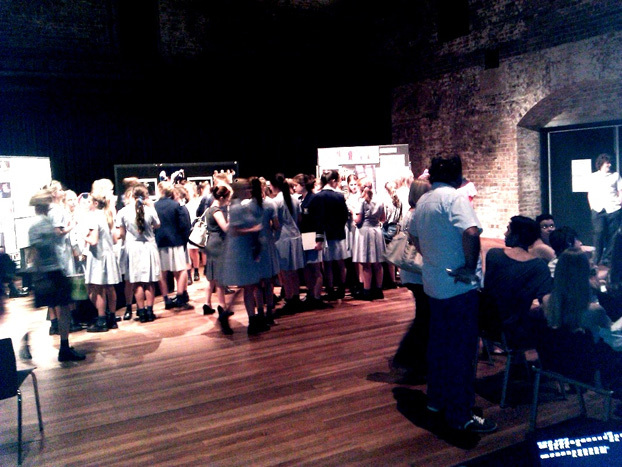 Apart from school students, exhibition attendees included members of the audience for Pygmalionin Sydney Theatre, who seemed to appreciate learning more about theatre and the company. Students and teachers interested in accessing resources for their HSC Drama studies online should head to our education section. Please note there is an archival research service fee of $10 and photocopies are 30c a page. STC Archives is open to schools and the public on Tuesdays and Wednesdays from 10am - 5pm, by appointment only.